Say that a few times and I bet it will make you smile. I have GOT to post about New Zealand.. it really was something else! 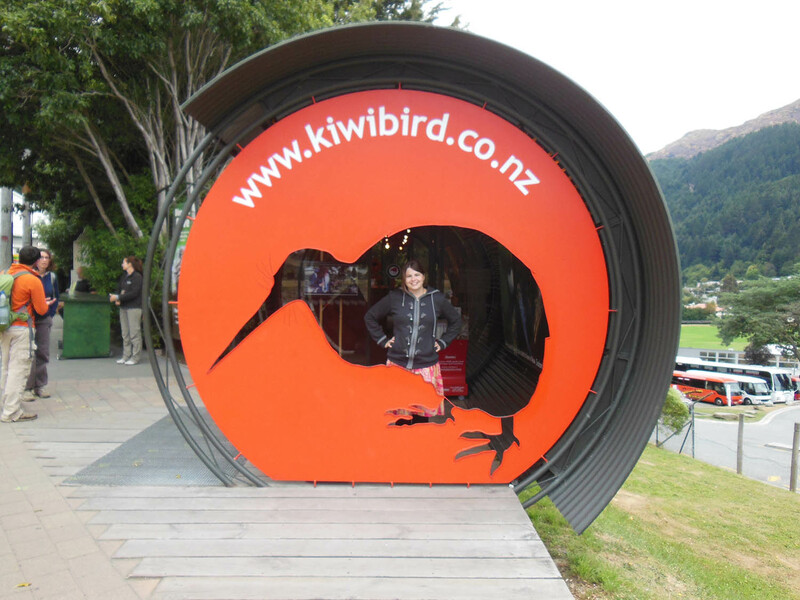 Anyways… while we were there Ben and I visited the Kiwi Birdlife Park in Queenstown. I made it a goal to see a for real Kiwi. The Kiwi is their national bird and is also endangered. I read all I could about the Kiwi while i was there and they are such interesting creatures! New Zealand broke off from the rest of Gondwanaland so early that before humans arrived there were no land mammals? Mostly birds including the massive Moa and the Haast Eagle which had a 10 foot wingspan. Like whoa. The egga kiwi mama lays is the biggest egg to mama ratio, ever. When she is about to lay her egg, she stops eating because the egg is taking up all the room! The daddy kiwi sits on the eggs for about 90 days until they hatch, after this point the baby kiwi has to defend himself, this is when most kiwis are killed. Apparently only about 5% make it to adulthood without help. Crazy! Kiwis thrived but when humans arrived, particularly European settlers, they brought stoats and dogs. They hunted Kiwis to near extinction! Ah! There’s been a lot of effort recently to save the Kiwis, some species are doing better than others but they seem to be on the up and up. If I lived in NZ, I would volunteer to help the Kiwis! The post has a point, I promise. 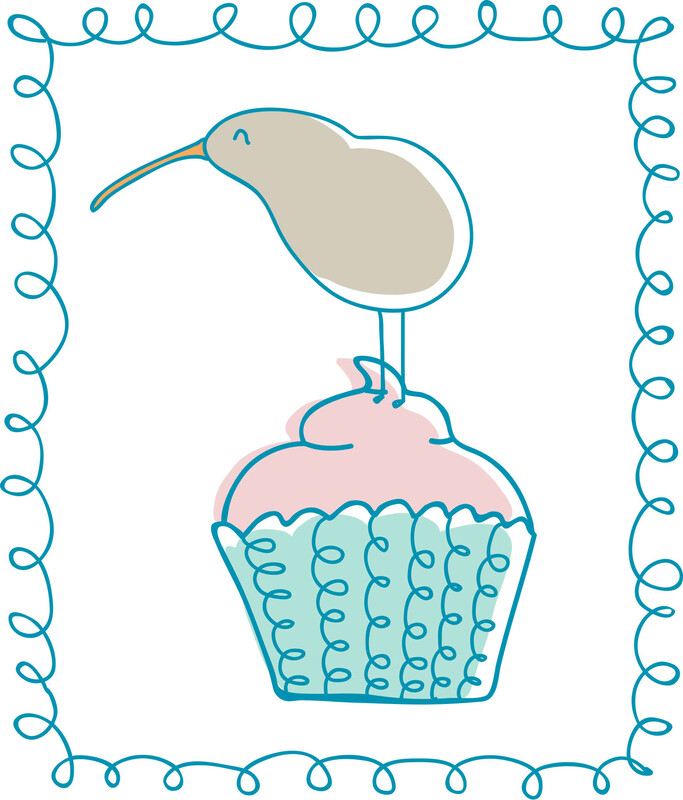 I’ve made little doodles with kiwis standing on things…. I’m going to make it part of my morning warm up or as an excuse to take a mental break from patterns. Here’s Kiwi number 1, mm soft, sticky cupcakes. Note** Kiwis do not eat kiwi fruit.